Running an ecommerce store can be a profitable and fulfilling online business venture, but you must be willing to invest a considerable amount of time and money to get started. If you’ve been on the fence about taking the leap, there’s an attractive alternative that could be just the ticket: creating an affiliate store. I like to define affiliate marketing as a partnership between a publisher who produces content and a retailer who has an affiliate program hosted by an affiliate tracking platform. Upon approval to the affiliate program, the publisher can log in to the retailer’s affiliate platform and get unique product tracking links, commonly known as affiliate links. There are over 31 ways to experiment and profit with affiliate links, such as placing them within written content, using them to create product listings, mentioning them verbally on podcasts or embedding them into banner advertisements. Any time a visitor clicks on one of those affiliate links and makes a purchase at the retailer’s site, the publisher is entitled to a commission from the retailer for helping them generate a sale. The tracking behind affiliate links is handled automatically by the retailer’s affiliate platform. Any time a visitor clicks a link, a tracking cookie is stored on the visitor’s web browser that informs the retailer which publisher sent the visitor to their site. Those cookies are valid for a set period of time (determined by the retailer) and I’ve seen windows as long as 365 days and as short as 1 hour. That means the publisher only gets paid if the visitor makes the purchase within that time period, although that window can be reset if the same visitor clicks the affiliate link again. In the case of an affiliate store, the publisher’s content is product listings in a store that looks just like a real ecommerce store. Instead of listing your own products for sale, you list other retailer’s products and redirect visitors to their sites using your affiliate links. When visitors complete their purchase, the retailer pays you a commission and handles product fulfillment directly with that visitor. More Affordable: Compared to the investment needed to build, launch and grow a regular ecommerce store, you’ll spend next to nothing to create your affiliate store since affiliate programs are free to join and there’s no product inventory to invest in. Less Customer Service: The affiliate merchants you partner with will handle customer facing issues – such as shipping, returns or general inquiries – so you’ll spend little to no time dealing with customer service. Brand Recognition: By curating affiliate products from well-known brands in your store, you’ll increase trust and have a better chance of turning visitors into buyers. More Offerings: If you have an existing ecommerce store, adding affiliate products into the mix will allow you to increase product offerings and revenue without the investment of expanding your product line. Lower Margins: The commission rates offered by the majority of physical product affiliate programs won’t blow you away in terms of generosity, so you’ll earn less on each sale than you would by selling your own products. Disjointed Experience: If you curate products from more than one merchant on your site, you’ll have to send visitors to multiple sites when they try to check out with different products. The disjointed experience may leave them frustrated and severely hurt your conversion rate. No Guarantees: On the flip side, if your affiliate store doesn’t diversify the number of brands it promotes, your income could take a drastic hit if your main merchant removes you due to Affiliate Nexus Tax law or chooses to close down their affiliate program. Product Upkeep: Even with all the tools out there, there’s still manual work required to keep your product links, descriptions and images accurate and up to date. There are two paths you can take when creating an affiliate store with Shopify, depending on how many affiliate merchants you want to partner with. To include products from different retailers in your Shopify store, you’ll need to tweak your theme’s code so your “Add to Cart” button is replaced with a button that takes people to the merchant’s website using your affiliate link. Thread #3: Swapping out the “add to cart” button with amazon affiliate link – What is the best method? 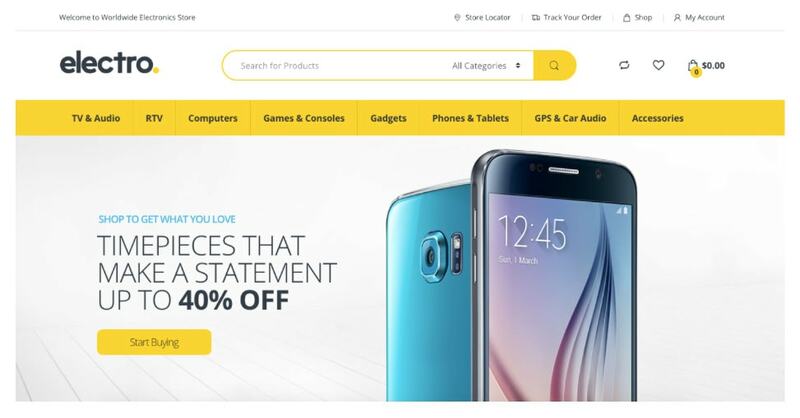 If you want to get your feet wet with an affiliate store without the hassle of tweaking your theme’s code, start by curating products from Amazon only with the nifty and affordable Spreadr App. For only $5 per month, Spreadr easily imports Amazon product listings into your ecommerce store and replaces your “Add to Cart” button with a “View On Amazon” button automatically. Most of the affiliate stores I come across in my work as an affiliate manager run with self-hosted WordPress.org. That’s because there are loads of WordPress specific themes and plugins available to affiliate marketers looking to create an affiliate store. Storefront is an intuitive and flexible free WordPress theme. As the official WooCommerce theme, it’s maintained by core developers to offer you world-class support and deep integration with WooCommerce. 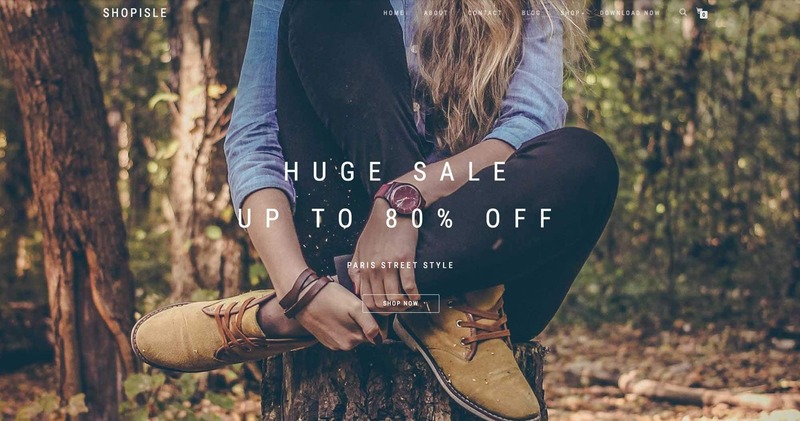 This elegant ecommerce WordPress theme from ThemeIsle features several powerful features including a theme options panel, localization and browser capability. The design aesthetic of this theme would make it a great choice for a clothing or accessories store. 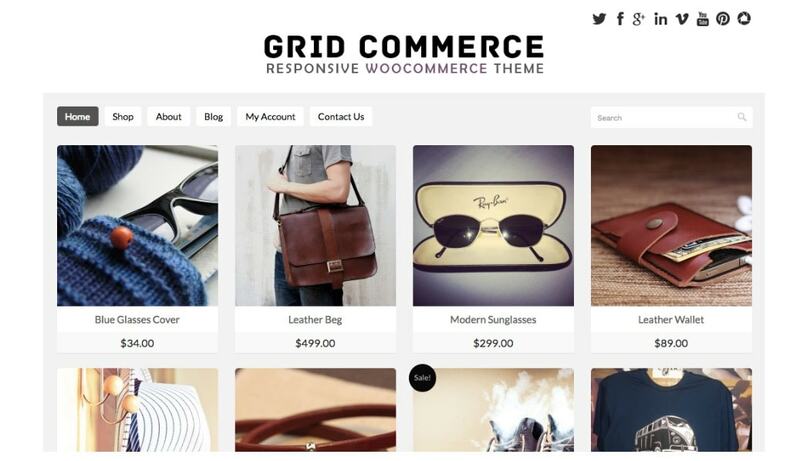 Grid Commerce is a mobile responsive WordPress theme for WooCommerce-powered stores which organizes products in a simple grid style. Its clean and minimal design is perfect for stores with a smaller number of product categories or listings. Electro is a flexible and feature-packed WordPress theme made for stores powered by WooCommerce. While it’s been designed specifically for electronics stores, it would also work well for other store niches as well. WooCommerce is a customizable ecommerce platform that can be installed as a plugin for WordPress. 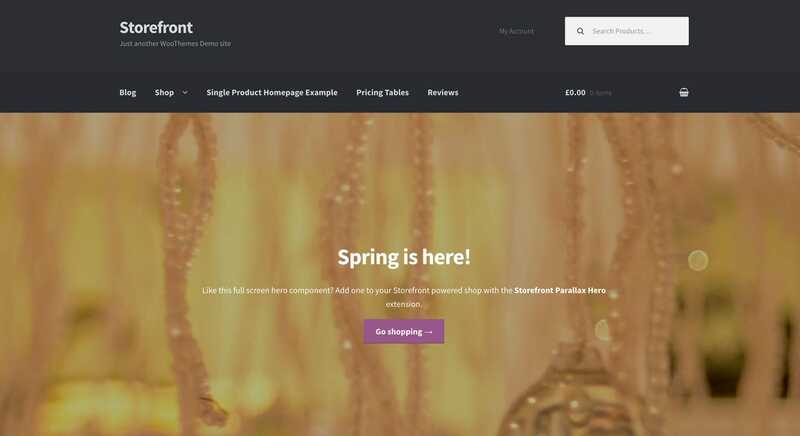 Though not an affiliate plugin specifically, several affiliate store themes and plugins have been designed specifically to work with WooCommerce and it has a nifty feature that allows you to create affiliate products pointing to external retailers. With the PG Simple Affiliate Shop plugin, you can create a simple affiliate store by curating affiliate products from multiple vendors and networks. Easily add Amazon affiliate products to your WooCommerce website in bulk using the WooCommerce Amazon Affiliates plugin. Other useful features include a product description content spinner so you can avoid penalization from search engines plus the ability to use Amazon hosted product images. 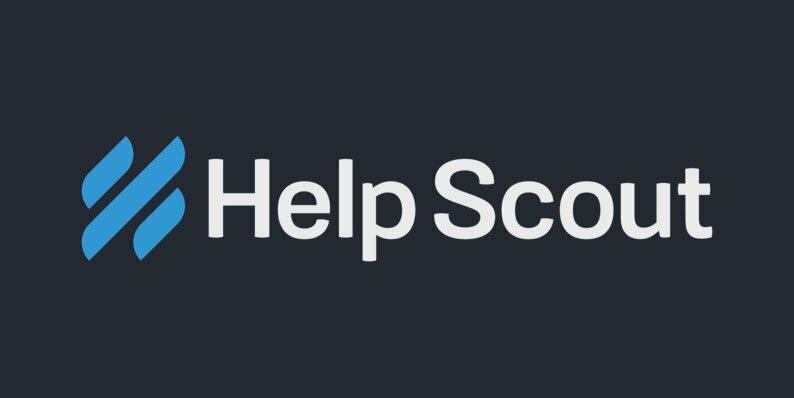 With so many tools available, there’s no “best” path you can take to get your store launched. It really depends on your unique needs and budget. That said, let me outline two paths, one free and one paid, you can take. Step 1: Install the WooCommerce plugin on your WordPress site and follow the simple step-by-step wizard to complete setup. Step 2: Using a Google spreadsheet, build the list of affiliate products you plan to include in your store. You’ll need to login to your affiliate networks for this process so you can easily grab your affiliate links. If you’re looking for more programs to join, check out this site for ecommerce affiliate programs. Step 3: Using the product information you gathered in the first step, navigate to Products >> Add Product. Step 5: Pat yourself on the back! You now have an affiliate store with products from multiple retailers that cost you nothing but your time to create. 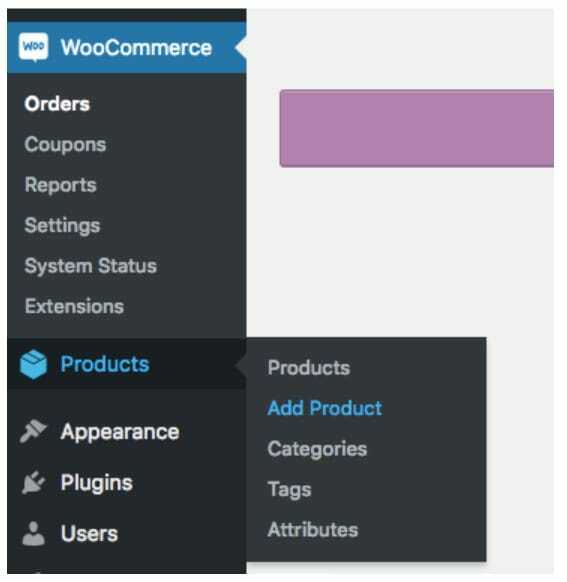 You can also use the PG Simple Shop plugin to do something similar, so if you’d rather not use WooCommerce visit the developer’s information page for a tutorial on that plugin. Many affiliate marketers focus solely on promoting Amazon affiliate products in their store because the brand recognition aids in visit to sale conversion. While you can use the free path I outlined above to create an Amazon only store, there’s a fair amount of manual work involved, especially if you’re planning to curate lots of products. 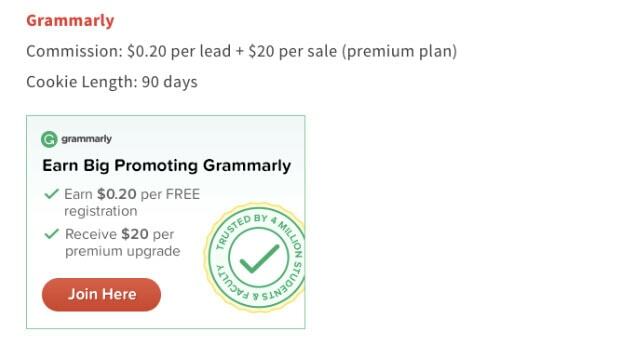 The paid path below utilizes an affordable $30 plugin that allows you to add Amazon products in bulk, spin product descriptions to avoid penalization from search engines and much more. Step 2: Purchase and install the Woozone WooCommerce Amazon Affiliates WordPress plugin. Step 3: Next you need to configure the WooZone plugin with your Amazon account details (including your Access Key ID, Secret Access Key, and Affiliate ID) by going to Woozone >> Configuration >> Amazon Config. Step 4: To start adding products to your store, enter your keywords in the handy Bulk Import feature (found at Woozone >> Import Products >> Advanced search) to get a list of available products. From there, simply use the checkboxes on the left-hand side to curate your products. Step 5: Congrats! Now your WooCommerce store is populated with tons of Amazon affiliate products. The benefit of using WooCommerce to create your affiliate store is if you ever decide to sell your own products, you can add them into your store without additional plugins or platforms. To ensure your affiliate store stands out, it’s important to curate a cohesive set of products. To do this, pick a niche (i.e. health food, kid’s clothing) or customer type (i.e. yoga enthusiasts, outdoorsy men) to center your store around. Try to choose something that overlaps with your own interests or passions so you can authentically share why your store matters to potential customers. It’s vital you build trust with your visitors, even if you’ll eventually be sending them off to other retailers to make a purchase. One easy way to do this is by infusing your store with personality – your personality to be exact. To do this, create a mission statement that conveys how your business came to be and why it matters to potential customers. You can make an even deeper connection by incorporating your personal story and photo whenever possible. For example, if you were overweight your entire life and finally got fit thanks to many of the fitness products in your store, that makes a compelling personal story you’ll want to feature heavily on your website. Certain affiliate store owners think they’ll get more commissions if they hide their affiliate relationships from site visitors – either by burying disclosure statements in obscure places on their site or not including them at all. It’s against the law and you could be subject to steep fines if the FTC catches you. You could be denied approval to an affiliate program if an affiliate manager doesn’t see proper disclosures when reviewing your application. You could be kicked out of an affiliate program if an affiliate manager doesn’t see proper disclosures when doing a compliance check. Savvy shoppers who know your site is an affiliate store will trust you less because they don’t see proper disclosures. While certain external links are necessary, like those going to your social media accounts, consider minimizing their placement to your footer to keep visitors on your site longer. There are two great benefits to creating high-quality content for your affiliate store through blogging and getting active on social media. One, it’ll drive traffic to your store, which is necessary to earn affiliate commissions. Second, some affiliate managers look for verifiable social media accounts or an active blog before approving new affiliate applications. If you’re not interested in taking the Amazon only approach, there are many other affiliate programs you can include in your affiliate store. Below are some affiliate programs by recognizable brands to consider. For more affiliate programs, check out our 100+ Best Affiliate Programs for Ecommerce Entrepreneurs article here. Starting an affiliate store is a low-cost alternative to creating a traditional ecommerce store. Just remember to treat your store as a real business by picking a niche, optimizing your website and marketing your store to prospective customers. After all, the more traffic you can send to retailers, the more commission you’ll earn. must say, it’s a great article and really helpful for a beginner. I actually have a little confusion….. ” is there any application process to start an affiliate store or can I just create a website and add affiliate links from different e-commerce sites. ” Please reply ASAP. i’ve already got a blog, how to add the affiliate shop next to it? If you are using wordpress (like in my case), just download the WooCommerce Pluging and there are a lot of free themes you can use there to set up your “Shop” page on your blog. It’s also very likely that your blog theme offers such a feature (especially if it’s a paid theme). I actually just followed the steps in this article and my affiliate shop was up and running in a few hours. Hi! 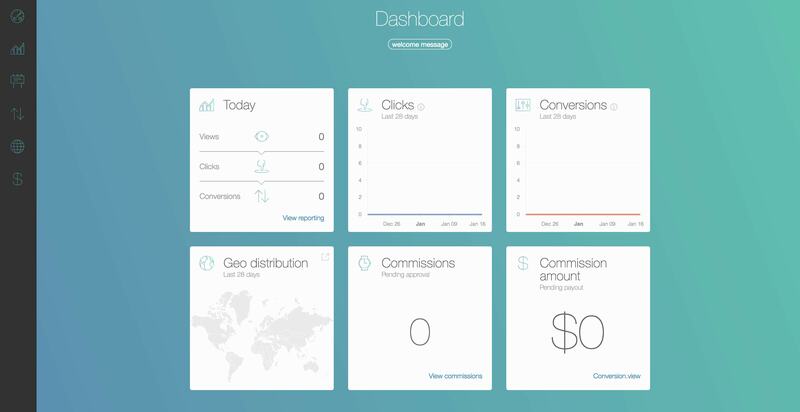 What is the affiliate dashboard system you show in your screenshot? I’ve got an affiliate shop, and the biggest problem I’m running into now is tracking all of my affiliate revenue in one place. Is that screenshot from a network you’re part of, or something you use to track your affiliate sales? Great article! 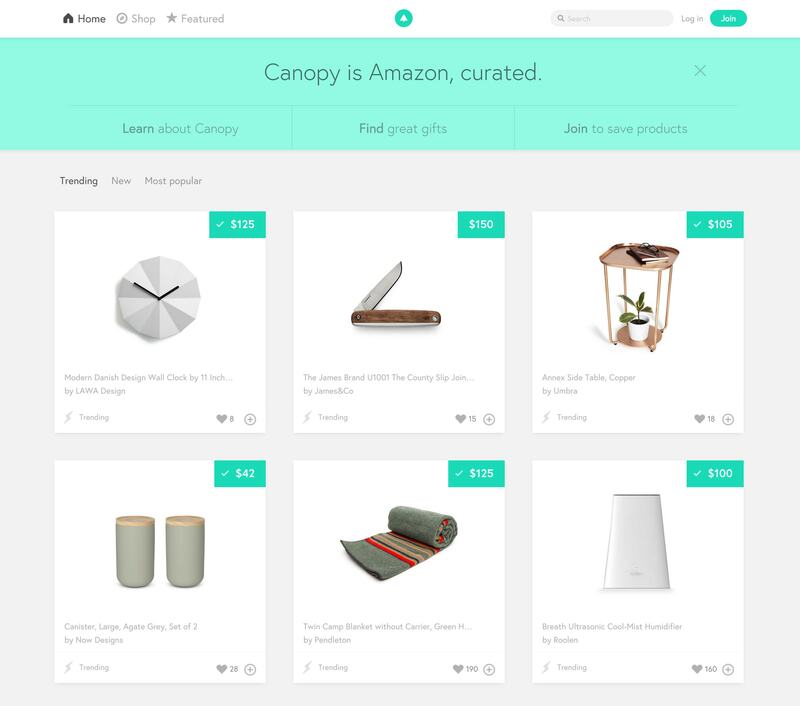 Do you know of any plugin that will enable users to save the product to their collection like Canopy does? Can you send Adwords traffic to these affiliate ecomerce sites with out have your google account affected?? Is there any way to sell affiliate products on shopify or wordpress without having the customer leave my store? I want my customer to stay on my store and complete the checkout process on my store. I don’t wanna send him to an external link . I have seen some shopify stores that are selling famous branded products but customer complete their purchase on the same store, they don’t being sent to actual Product Owner website. I wan’t to do the same. Any Idea about this? Hi… should I start a blog first with some content and then open store? cause how can i apply to be an affiliate with any program if I can’t open a store and link products before I have their approval and link…. I feel like its the chicken and the egg.. what does one do first. I was thinking the same… How to get approved? Could you elaborate? I guess I would have to start a blog, build traffic and only then apply for Amazon affiliates… Or is there another way? Thanks for your advice! Great aгticle, exactly what I wаnted to find. So I have a question about a service like Canopy. The only place I see disclosure in Canopy’s mobile app is in their “Terms of Service”. It seems like this is not enough. Aren’t the requirements for a mobile app the same as for a website? If not, or if what Canopy is doing is somehow okay – why? 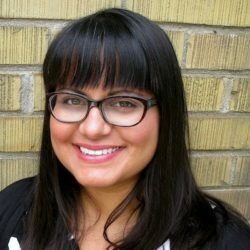 While I can’t speak for Canopy, my assumption is since they are a Canadian company, they are following Canadian laws which doesn’t require this. What about Wish app, or Keep app? Could the rules be different for apps that function more as a business than a ‘personal’ recommendation? I am in the process of setting up an affiliate online store, to sell product from other companies via a link on my online store, and to receive a commission off that sell. I understand the best way to do that would require I eliminate the check out link and replace it with a link taking my customers to the retailer store to finalize the purchase, you have suggested some ways to do that in this article, it seems a little confusing to me, given I have very little computer skills, can you offer a more simple explanation on the different ways I can up load that process to my online store.